Edward J. O'Neil, Ret. Supt. 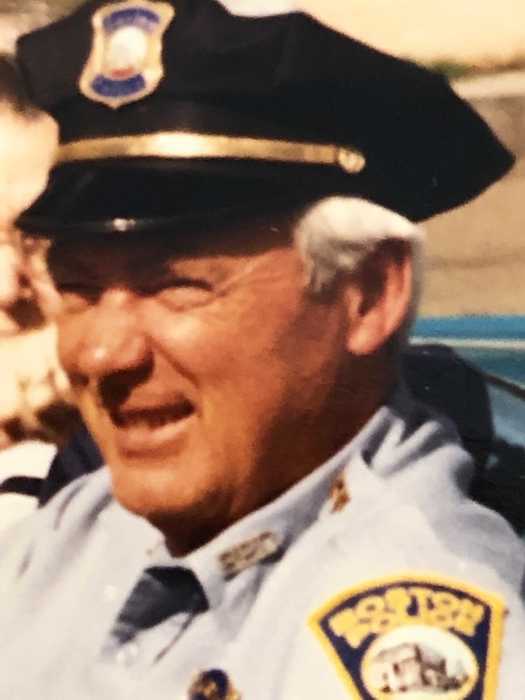 B.P.D., of West Roxbury, passed away on January 31, 2019 at the age of 93. Edward enlisted in the U.S. Navy at age 17, and served for 3 years during World War II. Following the War, Edward served on the Boston Police Department for 45 years, holding every rank from Patrolman to Superintendent, and retired as Captain of District D-14. Edward was the dear and devoted husband of the late Ruth (Davis) O’Neil. Loving father of Donna Jean (Dudzik) Prezelski and her husband Frank of AZ, Diane (Dudzik) Murphy and her husband Edward of FL, Nancy Eckersley of Sudbury and Dr. Edward J. O’Neil Jr. and his wife Judy of Newton. Cherished grandfather “Papa” of Mandee, Samuel, Jake, Allie, James, Michaela and Sean. Dear brother of the late Francis P. O'Neil. Edward's Funeral will be from the Kfoury Keefe Funeral Home, 8 Spring St. (at the corner of Centre St.) WEST ROXBURY, Saturday February 9, 2019 at 9 a.m. A Mass of Christian Burial will be celebrated at 10 a.m. at Holy Name Church. Visiting hours Friday February 8, 2019 from 4 to 7 p.m. Relatives and friends are respectfully invited to attend. Edward will be laid to rest with his beloved Ruth at St. Joseph Cemetery.